1 What is a triathlon? 2 What are the distances in a triathlon? 3 How do I join the Club? 4 Do I need to be in great shape in all three sports to join the club? 5 How much does joining the club cost? 6 What are the benefits of joining the club? 7 What equipment do I need? 8 How do I become a USAT member and why? 9 Do I need a really nice bike? 10 Where's the best place to look for local triathlons? 11 Does the club get any discounts to races? 12 I'm having trouble with my bike, can you guys help? 13 I'm an NC State Alumni/fan/etc. and I would like to order a NC State jersey. How can I do this? A triathlon is a combination of swimming, biking, and running all done in a single race. Triathlon season starts in March and lasts until November, so there are races all year around to compete in. The club competes in numerous races throughout the year. Every late April we send a team to Collegiate Nationals to compete against other collegiate teams. There are basically four different types of triathlons: sprint, olympic/international, half iron, and iron distance. Sprint triathlons typically have a 250-750m swim, a 10-14mile bike, and a 5K (3.1 mile) run. Olympic distance triathlons consist of a strict 1500m swim, 40K bike, and 10K run. An ironman distance race is a 2.4mile swim, 112mile bike, and 26.2 mile run. Half ironman is exactly half of the distances in a full ironman. The club typically competes in sprints and olympic distance race. However a lot of club members also race the longer distances too. Only current NC State students and faculty members are allowed to join the club. If you are interested in joining show up to a practice and introduce yourself to everyone. It's a great way to get a feel for what the triathlon club is about. Anyone can join the club even if you have never raced a triathlon. Email the club at ncsutriclub@gmail.com if you have any questions. Are there requirements/try-outs to join the club? The only requirement is that you be a NC State student or faculty member that pays club dues every semester/year and volunteers at one event per semester. There are no try outs, and a large number of our team had never done a triathlon before joining. Do I need to be in great shape in all three sports to join the club? No. Most members do have some background in one of the three sports. Chances are there will be someone within your ability level at practices. The club is not a varsity sport, and our main focus is having fun while promoting a healthy lifestyle. Prospective members need to be able to swim. We can help you improve your swim technique at some club practices. How much does joining the club cost? For new members, dues are $30 for the first semester. This lets you try out the club and includes all travel/hotel costs, and partial reimbursements of race entry fees. If you decide to commit to the club for a second semester, dues are $110 and you will receive a personalized uniform to race in! After your first year, and once you have your uniform, dues will be $85 for an academic year. This fee is not prorated for single semesters. Triathlon club members get discounts from our sponsors for races and equipment. Members can get customized training plans from our affiliates if they feel that the four team workouts are not enough (through discounted private coaching services). We also have club uniforms including one piece suits, jerseys, cycling jackets, and t-shirts. The basics are goggles, a bike, a helmet, and running shoes. The athletic facilities at NC State are great and joining the club is a great way to take advantage of them. If you are thinking of racing more than 3 races in a year we highly recommend you become a USAT member. How do I become a USAT member and why? Sign up to be a USAT member at the USAT website. It costs $45 for a year membership. If you aren't a USAT member at every race you have to pay a $12 one time fee to cover liability and insurance fees for racing. If you race more than three races a year it saves you money to be a USAT member. Do I need a really nice bike? No, any bike will do. Some people train on mountain bikes. However you may decide to upgrade as you keep training. If you need help with picking a bike, one of the club officers can help you decide. 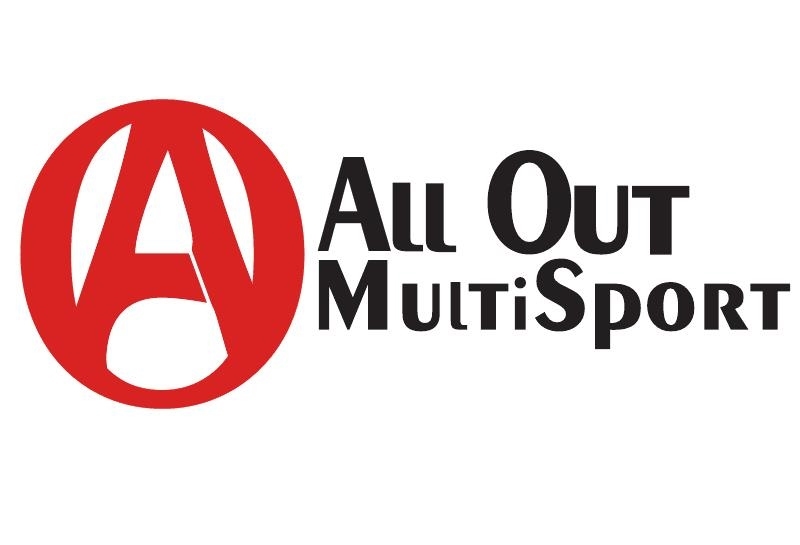 The club gets a 10% discount on bikes at Inside Out Sports. Where's the best place to look for local triathlons? FS Series has a lot of local triathlons, duathlons, open water swimming, and running races. 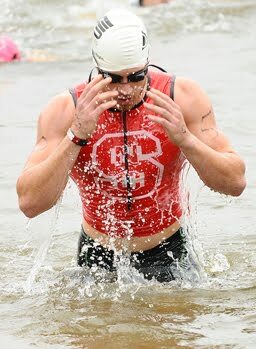 Setup Events is another great race production company that has races in North Carolina in their Triathlon Series. Occasionally we race other races by Revolution 3, Ironman, Trivium, or others. Does the club get any discounts to races? We get some discounts to local races, and usually races offer benefits to collegiate athletes. Contact the Club President or Secretary for the discount code. I'm having trouble with my bike, can you guys help? Definitely! Plenty of people in the club are amateur bike mechanics from just dealing with equipment problems. We can help you purchase a bike from a store or craigslist. We can also help out with basic bike tuning and repairs. I'm an NC State Alumni/fan/etc. and I would like to order a NC State jersey. How can I do this? Contact us at ncsutriclub@gmail.com to discuss this further. We make orders twice each year.